Our staff is specially trained in pediatric home health and understand the unique needs of children. Unlike other home care companies, our staff is comprised entirely of pediatric trained professionals. RiverKids Pediatric Home Health is committed to assisting children and their families to receive necessary care in the familiar setting of the child’s home. Care is tailored for each patient using a team of therapists who have chosen pediatrics as their specialty. 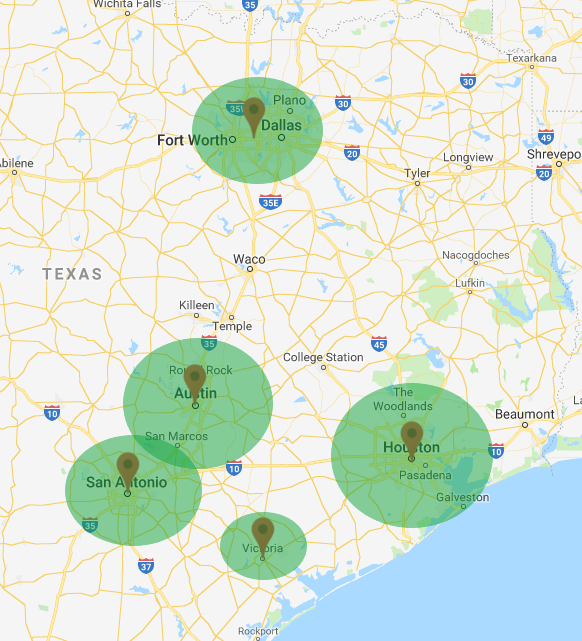 Providing home care since 2007, RiverKids Pediatric Home Health has service areas located throughout South and Central Texas servicing patients and clients in over 90 counties. We believe that a team approach to patient care greatly reduces recovery time for our patients. Physicians trust our qualified professionals to meet the demanding challenges of their patients. Our Mission: To provide superior home care and to ensure the satisfaction of each customer we serve. Our Vision: To be the home health care provider of choice for residents in the counties we serve.